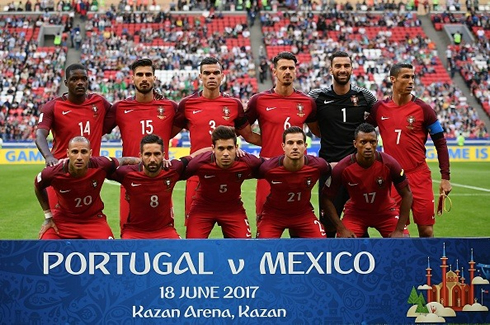 Portugal and Mexico didn't go beyond a 2-2 draw this Sunday evening in their opening fixture for the Confederations Cup. 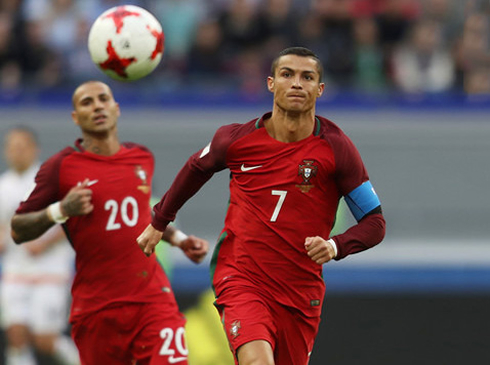 Ricardo Quaresma and Cédric Soares scored one goal each for the Portuguese side, but Mexico reacted well and equalized the game in the last minute of the game. 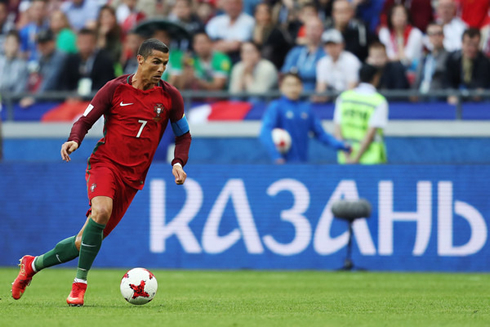 It was an exciting opening match for the defending European Champions in the 2017 FIFA Confederations Cup held in Russia, as Portugal were not able to hold onto a 2-1 victory, conceding a last-minute goal against Mexico and finishing the game tied at 2-2. Quaresma broke the deadlock in the first half following a spectacular assist from Cristiano Ronaldo, but the former Manchester United forward, Chicharito, equalized just before the break. In the second half, the Portuguese grabbed the lead once again already inside the last 10 minutes of the game, but conceded again the equalizer in one of the last plays of the match. Of course, all eyes were on CR7 with all of the latest news indicating that he's ready to leave Real Madrid and despite the media scrutiny, Ronaldo was able to have a good game overall, even though he didn't find the back of the net. Mexico started as the better of the two sides, as Portugal failed to bring the ball out of the back consistently. Mexico kept piling on the pressure, but Portugal would show their class as they were more deadly in front of goal. It started with a goal that was actually disallowed. Cristiano smashed a left-footed volley off the bar and Pepe was able to bundle home the rebound after a cross. However, during this edition of the Confederations Cup, video referees will be present and their goal was disallowed after review. Still, Portugal seemed bolstered by this and began to attack more. Eventually, they would get their goal after a brilliant pass from Ronaldo to Quaresma. The Real Madrid forward picked up the ball at midfield after a defensive error and ran towards goal, as he slowed down to execute his patented stepovers he stumbled a bit and had to recover. With three defenders converging it, the play looked dead, but Ronaldo's vision was able to pick out a wide open Ricardo Quaresma on the other side of the box and the Besiktas player was able to fake out Momo Ochoa and finish easily. 1-0 Portugal. However, the lead would be short-lived, as Chicharito would come up with a timely diving header in the 42nd minute. It was some poor defending by Portugal in the box, as Raphael Guerreiro missed what looked like an easy clearance. The second half was a bit tamer, but it really came to life late. Portugal's substitutions of Gélson Martins and André Silva gave Portugal a new dynamic in attack and the game opened up. In the 86th, the most unlikely of scorers, Cédric Soares, would give Portugal what seemed like a late victory. Capitalizing on a defensive mistake, the right back scored on a deflected shot. It all seemed over until Hector Moreno was able to score a header for Mexico at the death, to make it 2-2 overall. It was due to some poor defending, this time by José Fonte, who allowed the new AS Roma defender to capitalize. An exciting game overall, but Portugal will be frustrated that they didn't seal the match with so little time left in the game. Attackers: Quaresma, Cristiano Ronaldo, Nani.